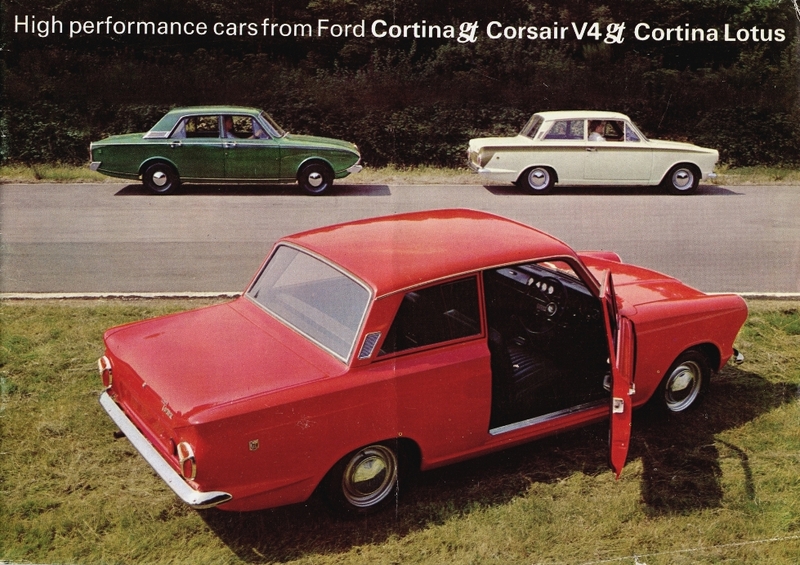 This is taken from the ‘High Performance Cars from Ford’ brochure which shows the Lotus Cortina, the Cortina GT and the Corsiar GT V4. 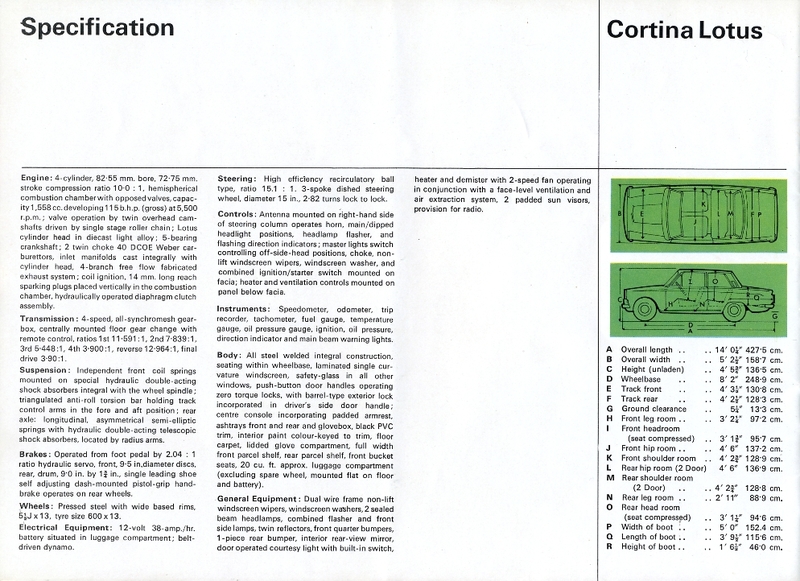 A superb brochure, which also illustrated Ford bringing the Lotus Cortina into the mainstream of the models. 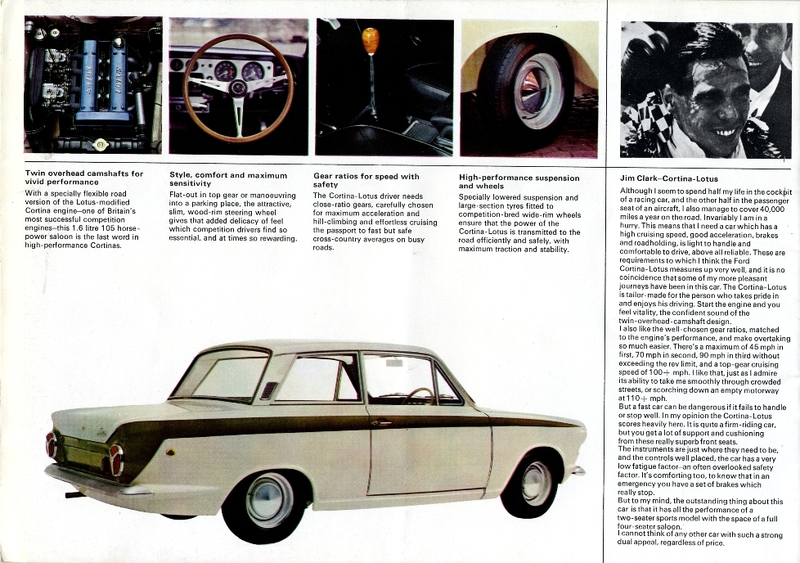 this brochure is repeated in the Mk 2 range in 1967. 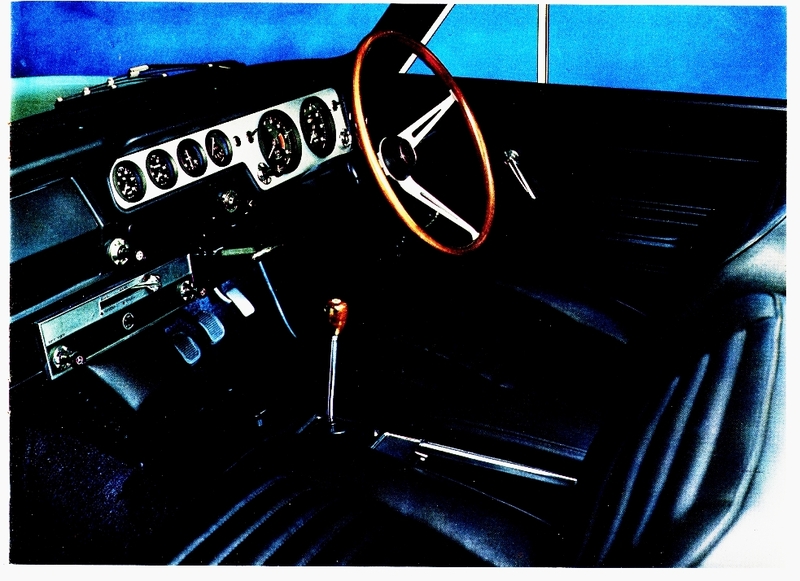 Lotus produced this very strange ‘range’ brochure. 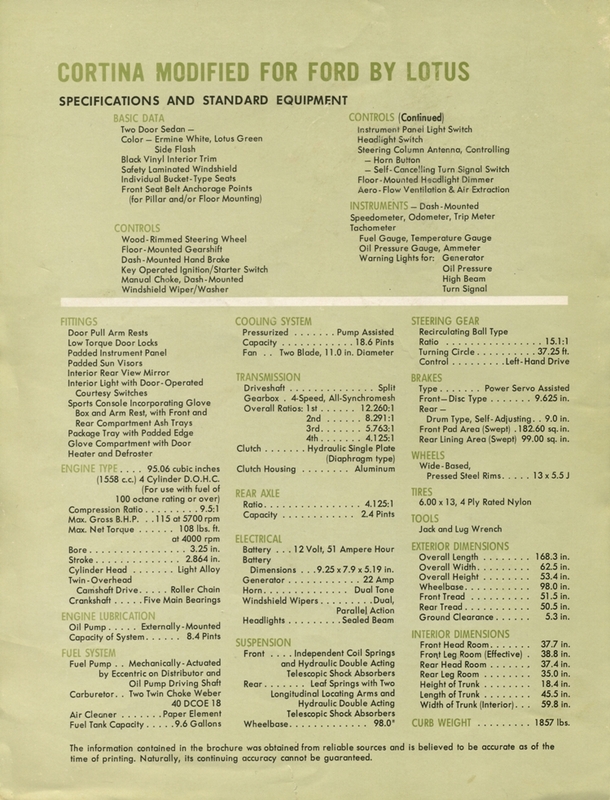 This is pretty much actual size, and is one strip which when unfolded measures about 2.5 cms by 35cms. 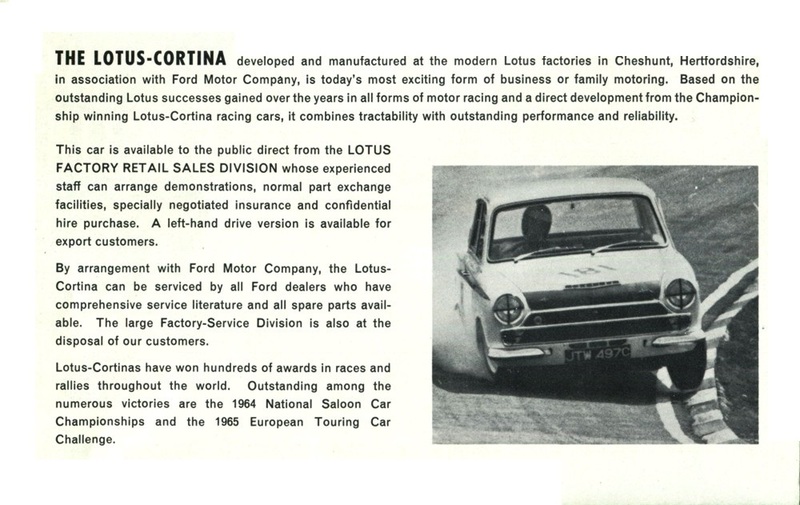 Lotus never did produce two brochures the same shape, style or format! 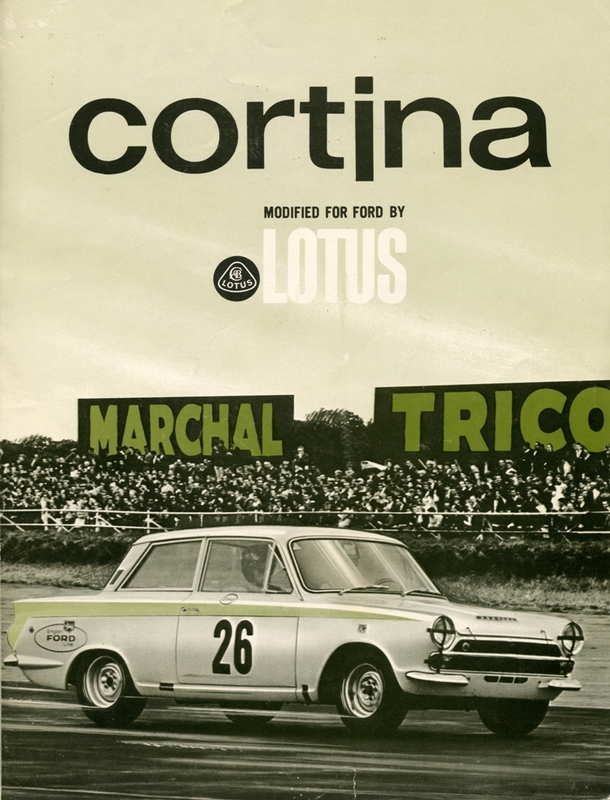 Lotus also produced this Lotus Cortina Aeroflow brochure, in a more conventional style. 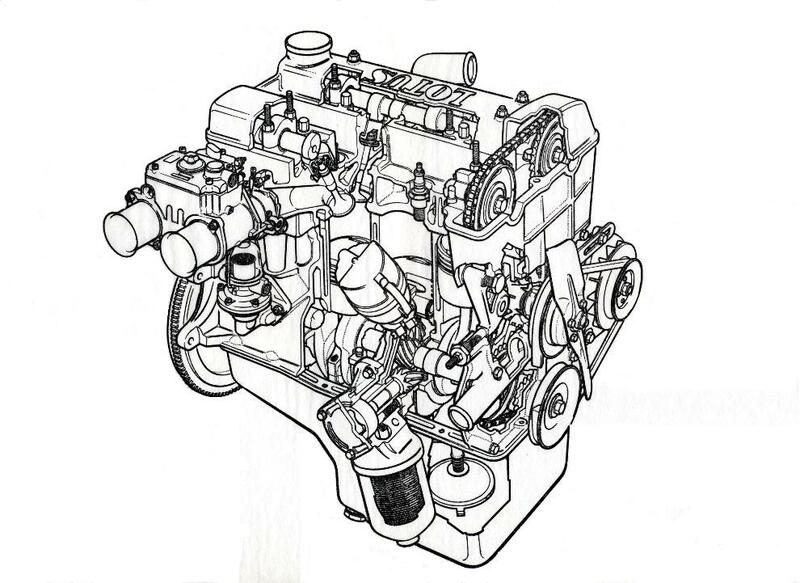 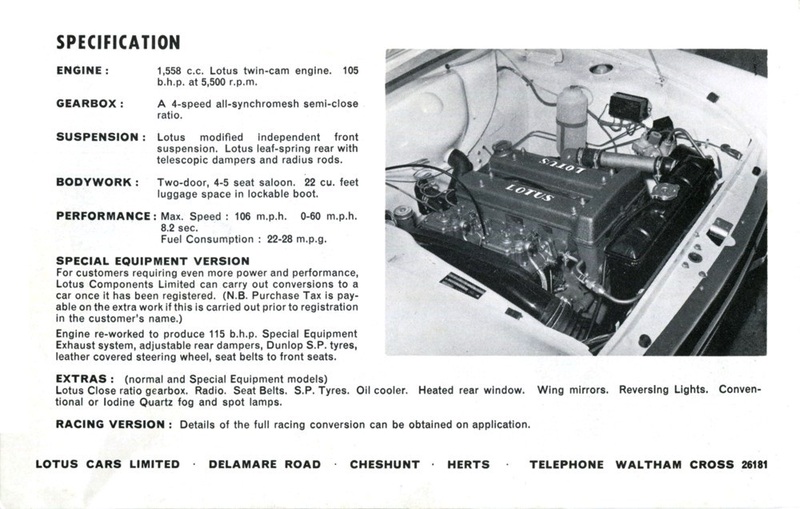 This is for the last RHD model, known by Lotus as the Phase III, with the full GT interior, the servo at the front of the engine compartment and the Indianapolis winners badge on the centre console. 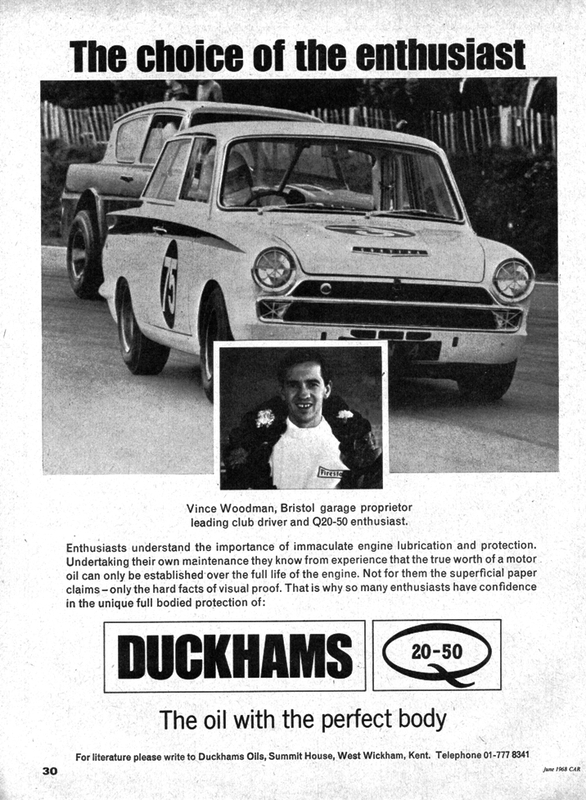 Sir John Whitmore winning the 1965 European Touring Car Championship for the Alan Mann Racing team was a fantastic achievement, which wasn’t really played up by Ford. 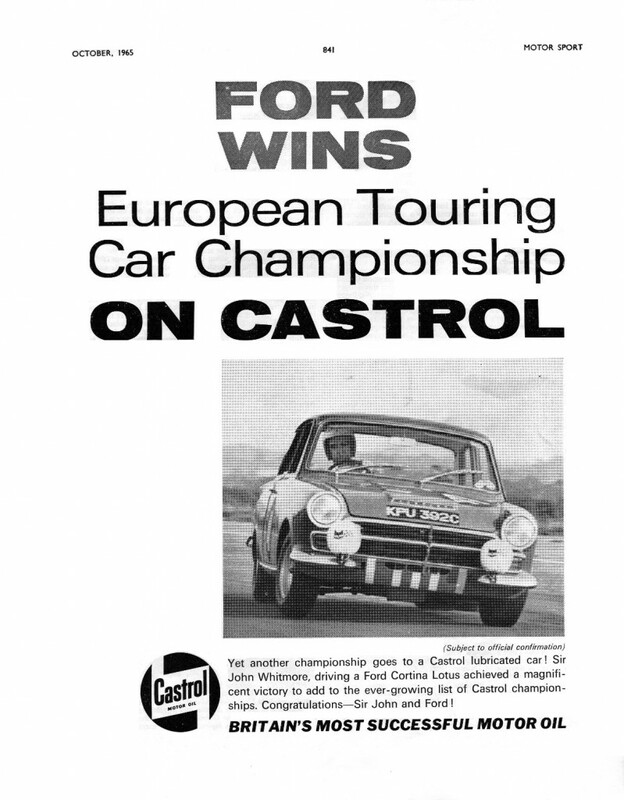 But Castrol thought it worthwhile to advertise their success in October 1965. 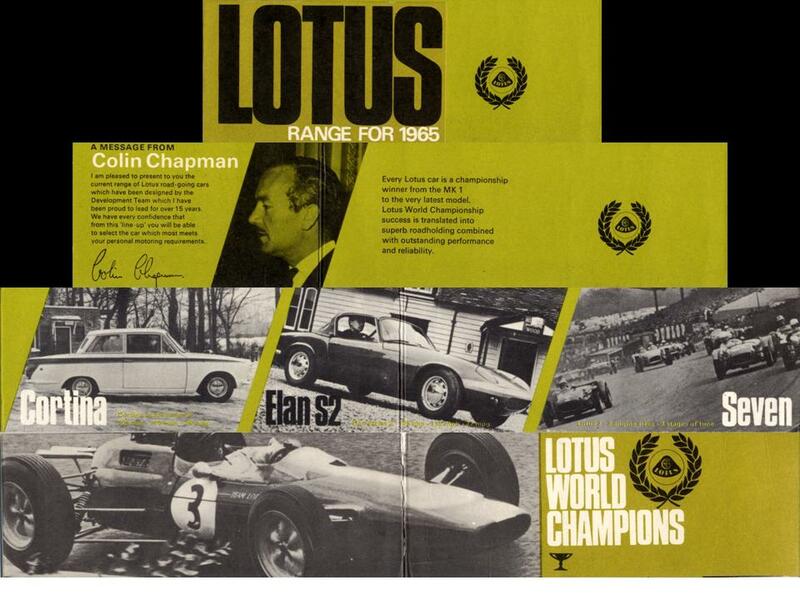 Late in 1965, Lotus started their last campaign for the car. 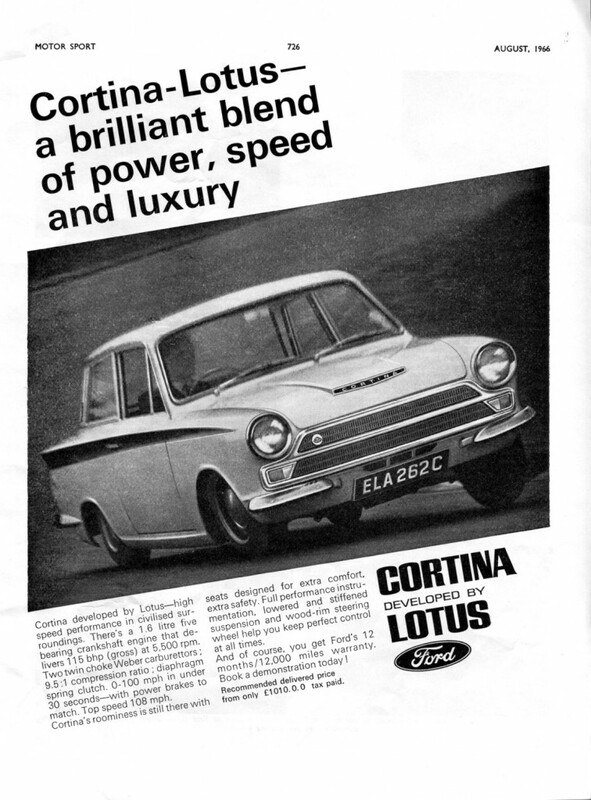 The advert above from November 1965 is quite straightforward, advertising the car as ‘105 bhp’. 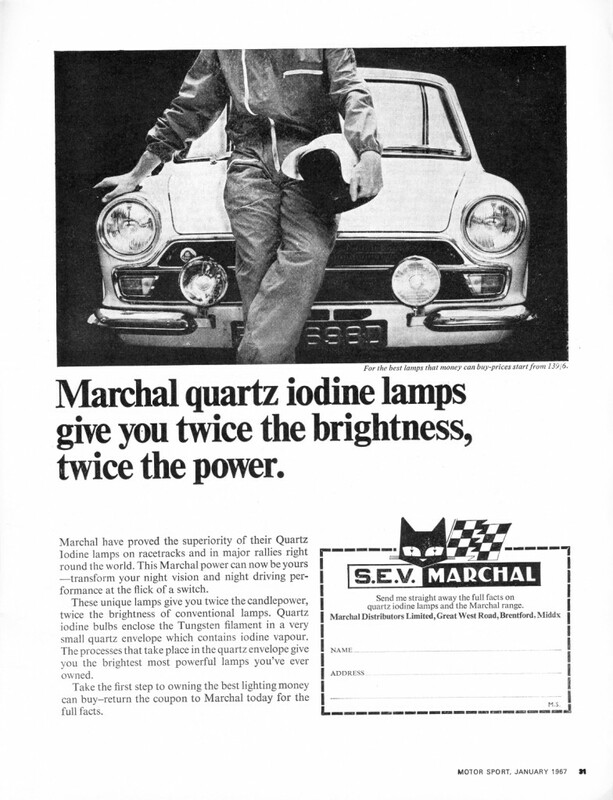 But for the new year, a similar advert but now with 150 bhp! 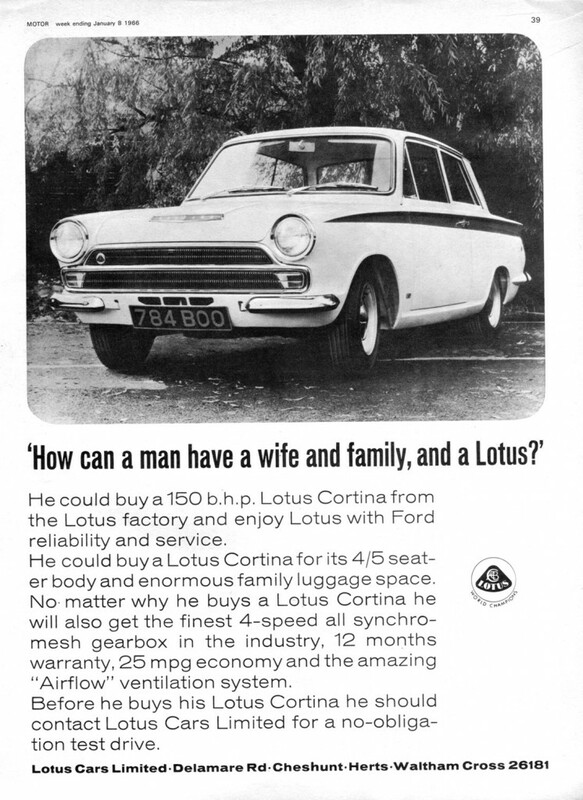 Not the first slightly misleading advert from Lotus! 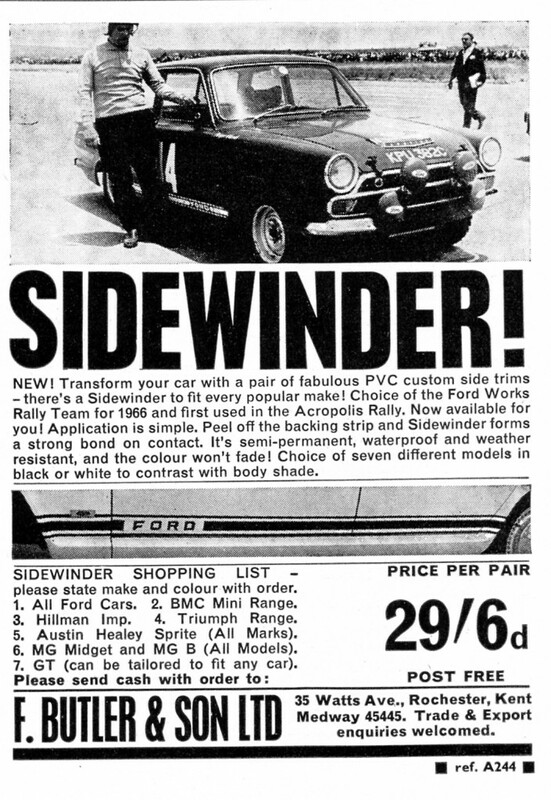 Roger Clark’s Works European Rally car was used to show off and advertise the sidewinder stickers that became popular in the 60s. 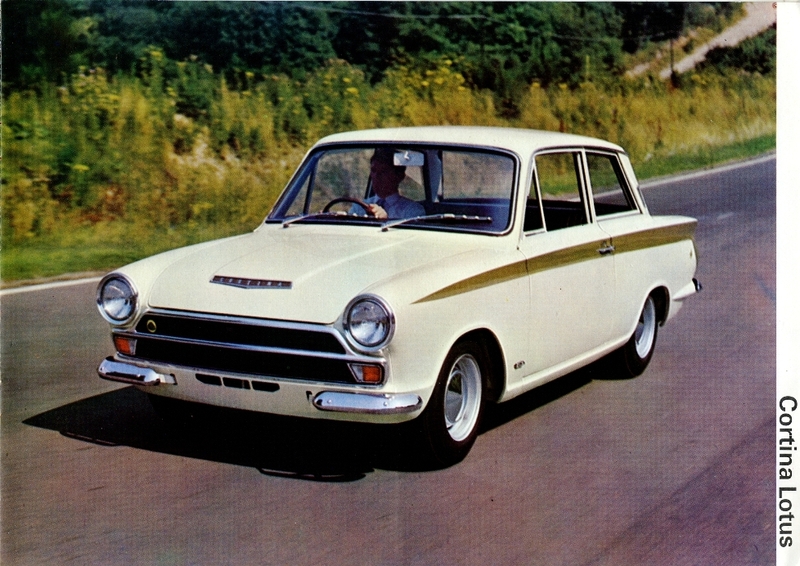 The last Advert for the Mk 1 from Ford UK, and it’s an old faithful picture re-painted to look like an Aeroflow car! 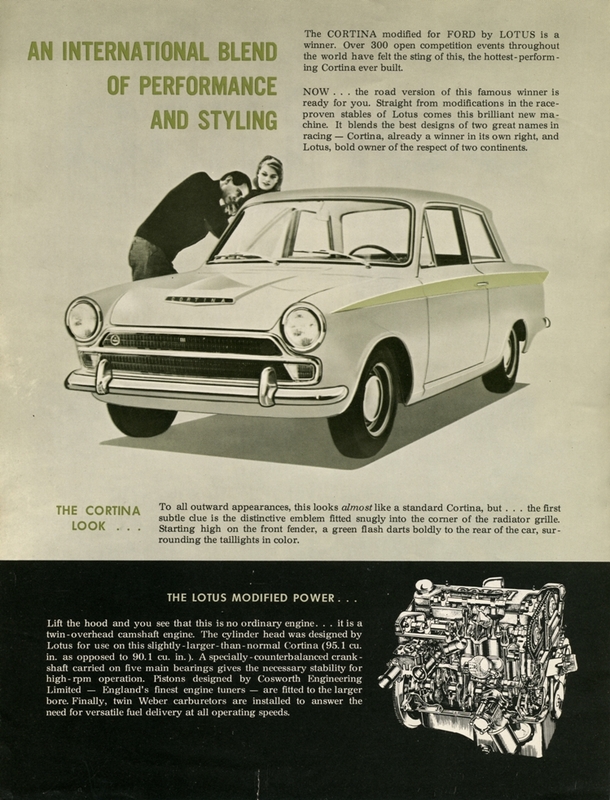 This advert is from August 1966, after the Mk 1 Cortina line had been torn down at Dagenham to make way for the Mk 2. 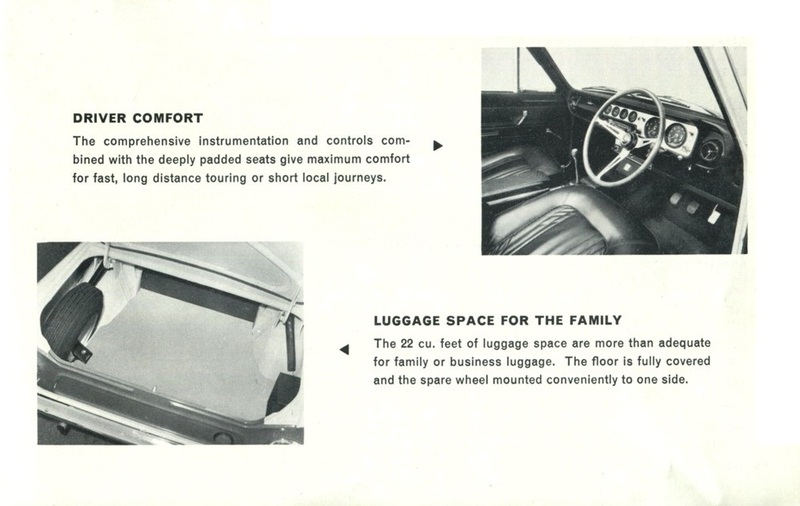 And the last advert from Ford USA, produced 5 months after the car had stopped being made. 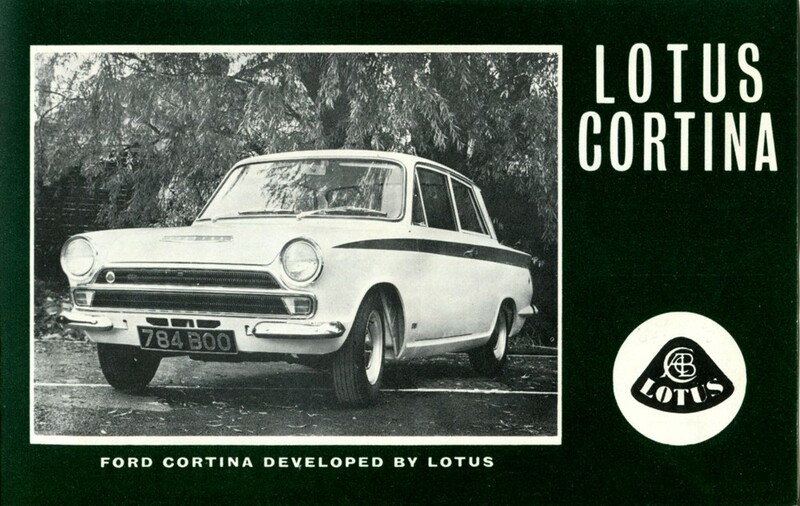 It is said that, as the Mk 1 Lotus Cortina changed specification over its 3 years life, it changed from being more Lotus than Cortina to being more Cortina than Lotus. 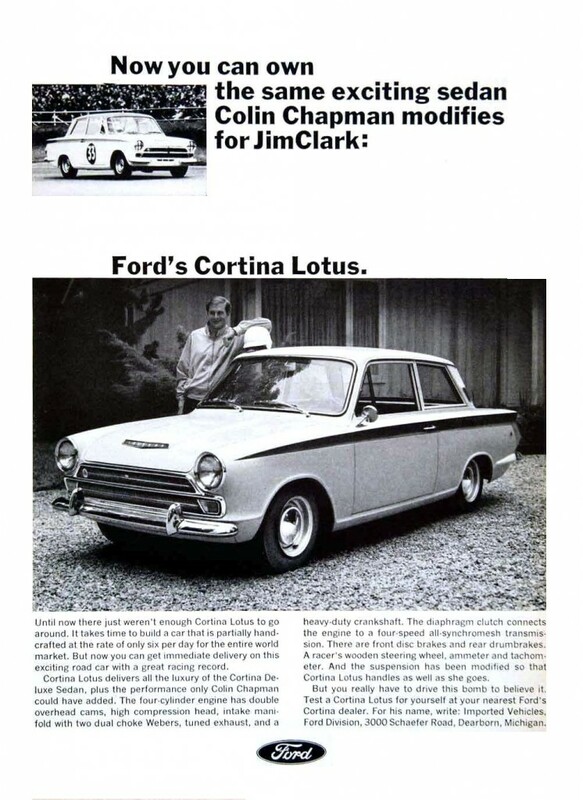 This was of course a glimpse of how the Mk 2 Lotus Cortina would start life, most definately as a Ford modified by Ford, rather than by Lotus. 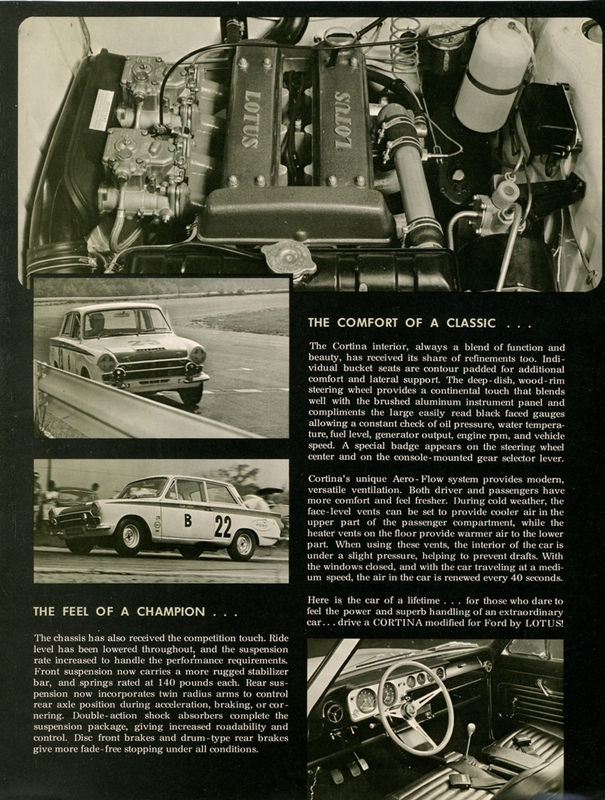 But the Mk 1 continued to be used to advertise car products long after it had finished production, such was it’s iconic status established in just 3 short years.